BeenThere-DoneThat: The area around Maldon, Essex. Looking across the River Blackwater, at low tide, to Maldon. The Hythe Quay, where the sailing barges moor, is on the far bank with St. Mary's Church spire, grey on a white tower, to the left. 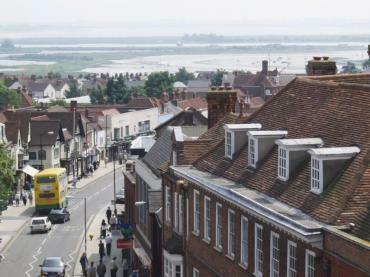 On the skyline to the right of St. Mary's is the spire of All Saint's Church in Maldon town centre and next to that, on the right with a white flagpole, is the Moot Hall. To the right of that, on the edge of a clump of trees, is the tower of the Plume Library. This view is from near Heybridge Basin on the opposite side of the river from Maldon. Maldon, looking East towards the Hythe Quay and the Promenade Park, showing the river Blackwater. 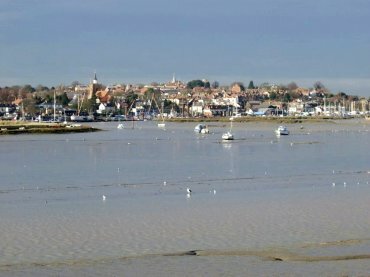 Maldon was a Saxon port of some significance and became even more important on the granting of a Royal Charter by Henry II in 1171. A copy of this charter may been seen hanging on the wall of the Moot Hall in Maldon High Street. Steam Pumping Engine "Marshall" in the Museum of Power at Langford near Maldon. This engine is an 'inverted vertical' triple expansion steam pumping engine built around 1931 by the Lilleshall Company Limited of Oakengates, Shropshire. 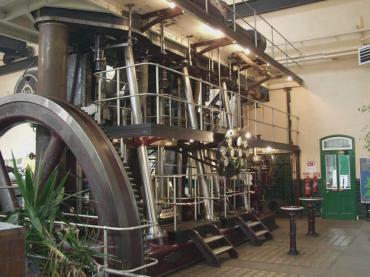 The large flywheel, seen on the left of the picture, is 14 feet in diameter and weighs 18 tons. The building and the engine became Scheduled Ancient Monuments in 1986. On the road from Maldon to Bradwell. 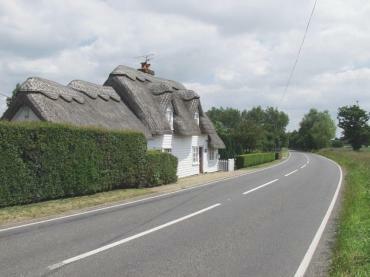 This is a typical Essex weatherboard cottage with a thatched roof. Only 12 miles from Maldon is Bradwell-on-Sea - a small village near the Saxon Chapel of St. Peter's-on-the-Wall. 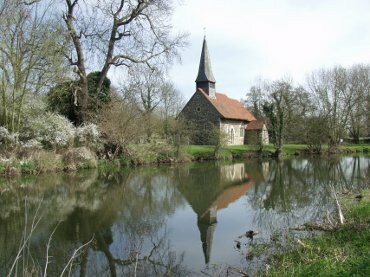 All Saints Church in a remarkably peaceful setting alongside the River Chelmer. Built in 1150 and restored in 1870 it is one of the hidden delights of the area.